Jonathan Lee is the president of JGL Partners LLC, a consulting firm based in New York that consults to investment firms and corporate clients. His primary focus is on the battery materials sectors, which includes lithium, vanadium and cobalt. Tesla's Gigafactory and Powerwall, plus other proposed battery plants and uses, are sparking a surge in demand for lithium, says Jonathan Lee of JGL Partners. Lee tells The Energy Report that he expects double-digit compound annual growth rates over the next few years as battery prices continue to fall and demand rises. The lithium space is small and entrenched, but the widening gap between supply and demand is prying an opening for new entrants, which Lee believes provide the best investment opportunities in the sector. Rockwood Holdings' deal with Talison Lithium means more consolidation in an already tight market. 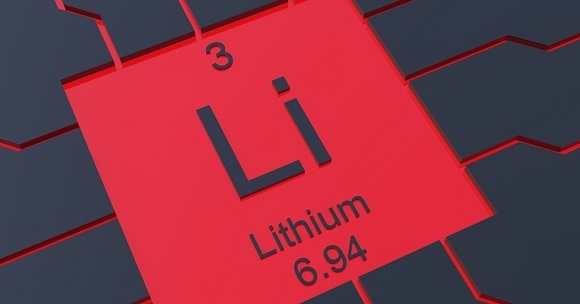 With demand on the rise and supply lagging behind, lithium juniors and their partners are jockeying for market share. Analyst Jonathan Lee dissects the deal's implications in this exclusive interview with The Energy Report and champions both low-cost producers and Argentinean plays in this growing industry. Graphite and vanadium may be relatively obscure materials, but these commodities could get a jolt from developing battery technology. In this exclusive interview with The Critical Metals Report, Jonathan Lee of Byron Capital Markets explains how graphite and vanadium play critical roles in rapidly growing battery markets, as well as in the steel industry, which is experiencing healthy growth. Both vanadium and graphite have limited production sources in North America, and the companies he discusses look poised for major supplier status. "GXY is looking at a potentially bright future." "We were impressed by NGC's latest drill results at Bissett Creek." "NGC has many catalysts coming in Q1/13." "Expect multiple milestones and accomplishments for NGC in Q1/13." "LAC has two strategic investors in Magna Resources Ltd. and Mitsubishi Corp. The Talison/Rockwood deal may put more pressure on them to move forward with their commitments." "RM may benefit, given its JV partner Shanshan's relationship with Tianqiu Lithium and Talison." "At $6.50/share, TLH is a big win for our investors." "LAC received environmental approval for its Cauchari-Olaroz project."